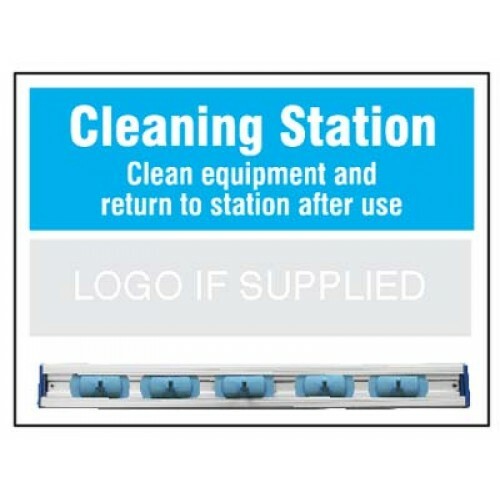 45x 6mm board is supplied complete with 38m magnetic rail making it a great little tool station for keeping your tools and utensils safe, tidy and secure.1m foam PVC back board is easily drilled for w.. This shadow board comes complete with cleaning equipment, acting as an effective locator and storage unit for often used equipment. Allows easy recognition of missing items and helps ensure everything.. This Cleaning Station includes a 515mm channeled rail with five hangers to grip handles and tools (23m dia), keeping everything stored neatly and readily available for use.1m foam PVC back board is ea..